The World Series of Poker has released the first details of its 2015 schedule, including the dates for the next edition of the world’s most popular tournament festival and some information about a few of the highest-profile events. The 2015 WSOP is scheduled to begin on May 27 and will last through July 14, with the signature Main Event beginning on July 5. This year’s Main Event will follow a structure that’s similar to the one used over the last few years. Players will have the opportunity to choose from three starting dates, with the fields from those days combining as the tournament progresses. Just like in 2014, the winner will be guaranteed to take home a prize of at least $10 million. Not everyone can afford to play in the $10,000 buy-in Main Event, however, and the WSOP has created a new event designed to be affordable for the masses. The Colossus will be a $565 buy-in event with two starting days that begins on May 29. There will be a total of four starting flights, and players are allowed to enter as many flights as they wish. This new tournament will come with a guaranteed prize pool of $5 million, which suggests that organizers are expecting to get 10,000 or more entries for this uniquely affordable event. One of the major themes for 2015 appears to be an effort to appeal to more recreational players by giving them more opportunities to win life-changing amounts of money. To that end, the Millionaire Maker will be back for a second consecutive year. This tournament starts on June 5, features two starting days, and has a buy-in of just $1,500, while still guaranteeing the winner at least $1 million in prize money. 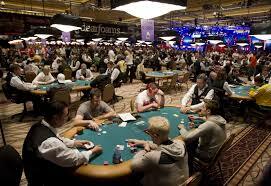 Similarly, the Monster Stack tournament will be back, offering players 15,000 chips for a $1,500 buy-in. Beginning on June 12 and June 13, this tournament is hoping to surpass last year’s success, when it generated a $10.6 million prize pool. It’s no surprise that tournaments like these are coming back, considering their success last year. 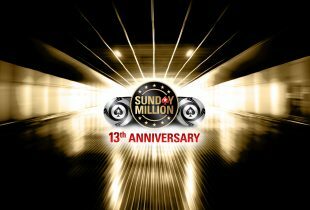 Both the Millionaire Maker and the Monster Stack drew just under 8,000 entries in 2014, making them the most popular events of the series. Player reaction to the announcement was mixed. While many high-stakes players felt as though tournaments like the Colossus and the Millionaire Maker would be great for the long-term growth of poker, they felt the opposite way about the $10 million guarantee in the Main Event, a move that was controversial last year when it was first introduced. Some feel that such a guarantee does little to attract amateurs, while warping the prize pool and concentrating more wealth at the top of the poker economy. “We do,” said poker player Oliver Gill. “You’re doing it wrong with the 10m guarantee. “It’s an objectively terrible idea,” Gill continued, while praising the Colossus as an idea that would bring new blood into the poker community. My question is how do you go about registering for the colossus tournament?